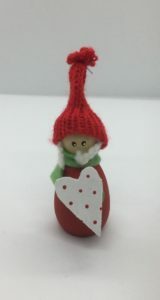 Home / STORE / Nisse / Nisse children Red with White Spotted Heart. 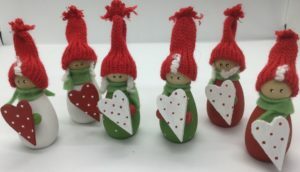 Who can resist these charming Nisse children. They are just full of love to give holding in their hands a wooden heart. 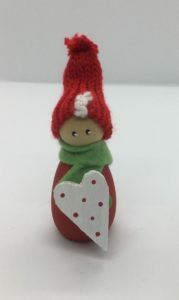 Wearing Christmas Red clothes, matching warm green scarf and gloves with a red wooly hat. The girls have a tussle of white wool hair while the boys have a Kiss curl pocking out of their hats. 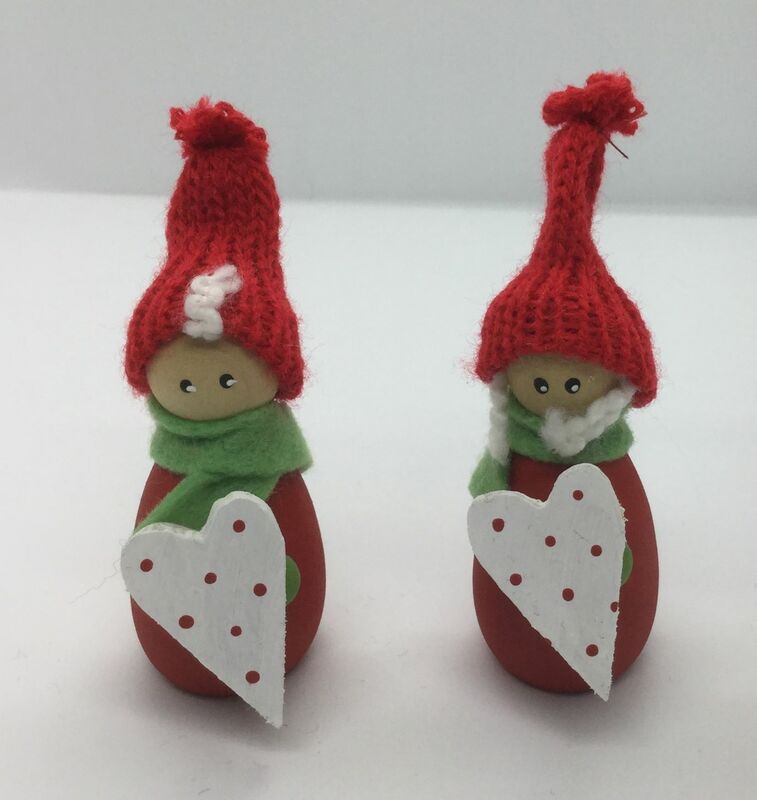 They stand approximately 9cm high.